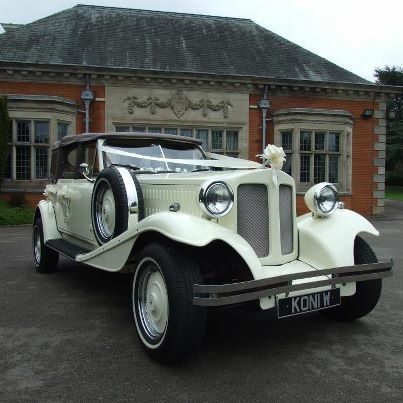 Hire a beautiful BEAUFORD for just £385! Chauffeur driven car for Brides, Bridesmaids etc to the place of marriage and onto the reception including toast for the bride and groom. 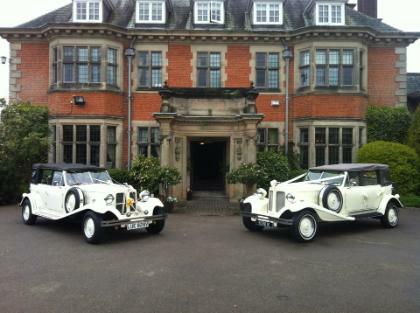 Extra trips for Bridesmaids are not charged within reasonable distance and time allowing, extra cars can be booked for larger parties. We make a small detour for the bride and groom on the way to the reception to allow time to reflect on the morning, enjoy the toast and admire the chosen car. The car can also be decorated in your choice of ribbons to match the car to your wedding theme. Seating 7 passengers making it a ideal Bridesmaid car. 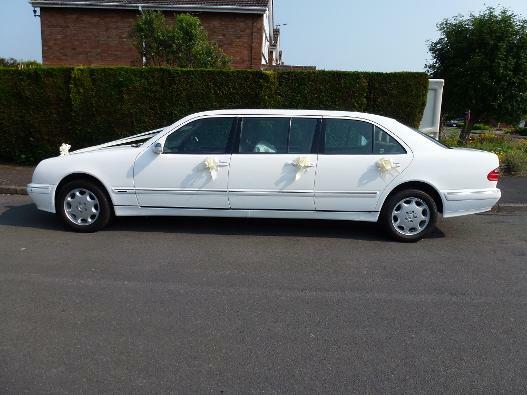 Or with the second row of seats folded away a very spacious Bridal car, with luxurious cream leather interior.